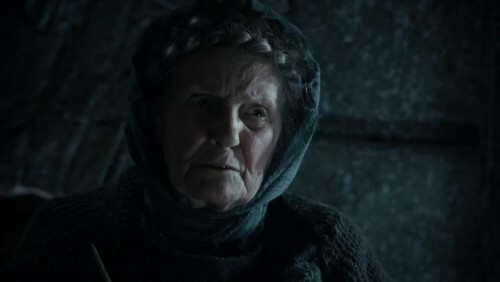 The wizened wet nurse at Winterfell, Old Nan has been caring for the Stark children for many decades. She is full of old stories of ghosts and monsters and little children going astray. The giant stableboy, Hodor, is either her grandson or great-grandson.